Posted on February 5, 2018 at 11:13 am. ORLANDO, Fla. (February 5, 2018) — Florida-based Valensa International announced today a joint venture agreement between Valensa’s parent company EID Parry, and Synthite Industries Ltd., which expands Valensa’s plans to lead the development and distribution of value-added microalgae extracts for nutraceutical applications. The agreement includes a $6.5 million investment to establish a new plant for the extraction of Parry Organic Spirulina to produce Phycocyanin, which Valensa will be developing for dietary supplements, functional and medical foods. Both Parry Nutraceuticals and Valensa International are divisions of EID Parry and the $5 billion Murugappa Group. The 50-50 joint venture will leverage Parry Nutraceutical’s cultivation strengths and Synthite’s extraction capabilities making it a strategic fit for both the partners. In addition, their strengths in marketing will be synergistic, with Parry Nutraceuticals and Valensa focusing on the global human nutrition segment while Synthite Industries will focus on food colors and additives. The joint venture will set up a manufacturing facility in Tamil Nadu, India for the production of Phycocyanin, a natural blue pigment extracted from Spirulina. 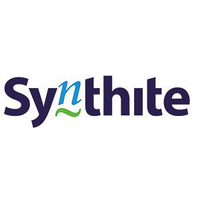 Synthite, established in 1972, is a diversified group with revenue touching $270 million. Visit synthite.com. Based in Chennai, India, Parry Nutraceuticals is a division of EID Parry India Ltd. (NSE: EIDPARRY), and part of the Murugappa Group. Visit com and murugappa.com.